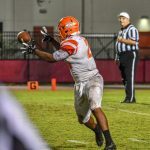 The freshman football team played Wekiva last night, falling short. With ample rain not helping on the night, the Braves lost 0-22. They will be back in action next week! 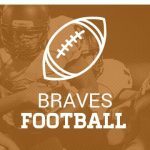 The Braves Freshman football team lost a tough game to the Lake Nona Lions last night 7-0. The Braves were led with defensive interceptions by Jack Canddelaria and Derrion Felder and strong defensive play by John Blem. The Braves take on the University Cougars next Thursday at University High School. There will be a Freshman Football Parent Meeting on at 6:30 pm on August 22nd, in the 700 Bld. classroom. (Building nearest Wadeview Park). 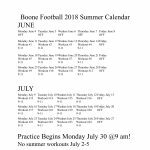 All parents with a child(ren) participating in Freshman Football, needs to attend. 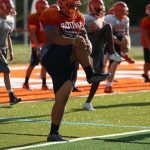 Football tryouts for varsity, junior varsity and freshmen football teams will begin on Monday, July 30th at 9:00 a.m. Any student interested in participating in tryouts for this up coming year must have a current athletic physical on file with the Athletic Training staff by Wednesday, July 25th. If you have any questions, email Coach Johnson at andrew.johnson@ocps.net.